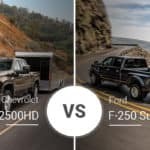 The pickup truck segment has had many models come and go through the years, but the Chevy Silverado has long been a stalwart in this segment. 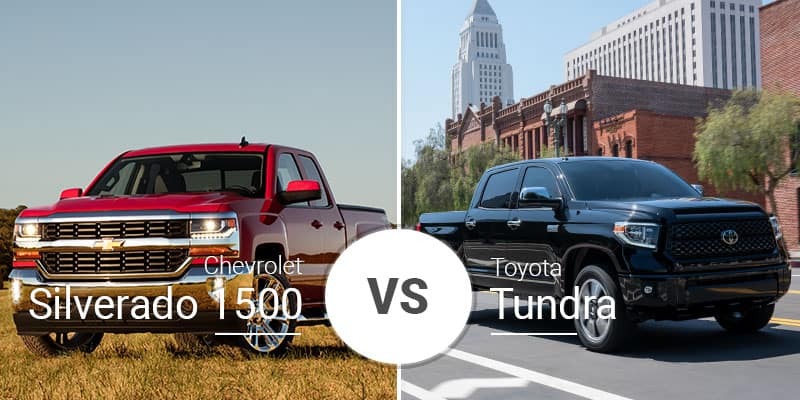 A relative newcomer to the segment, the Toyota Tundra, is a tough competitor for the 2019 Chevy Silverado 1500, but is is the best truck for our Wheaton, Carol Stream, and Lombard, Illinois truck shoppers? Continue reading to find out. The 2019 Chevy Silverado 1500 boasts a brand-new look thanks to a comprehensive redesign. This update includes a more upright front end with all-new headlights and a new Trail Boss model with a higher ride height and rugged looks. 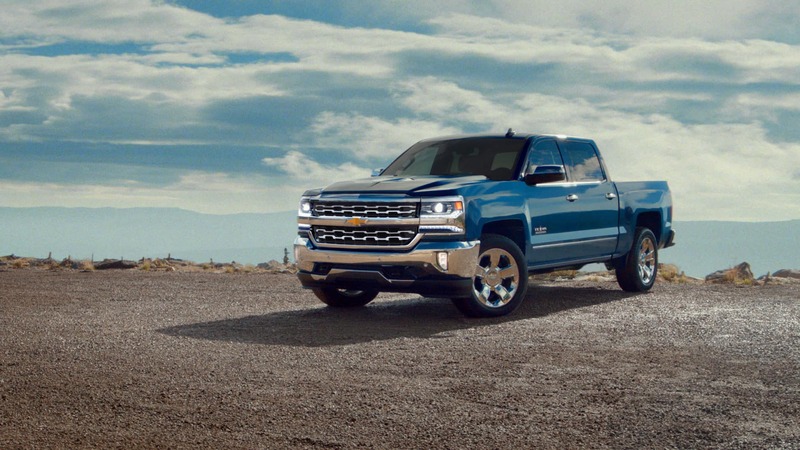 Despite being up to 1.6 inches longer than the previous model, the 2019 Silverado 1500 is also up to 450 pounds lighter. Unlike the Silverado, the Toyota Tundra’s latest update was a refresh in 2014. This ushered in significant updates, but this aging pickup remains structurally the same as when it went through its last redesign in 2007. Despite its age, this older look still exudes a tough pickup-truck appearance that most truck buyers will appreciate. The 2019 Silverado has three cabs — Regular Cab, Double Cab, and Crew Cab — and three bed options: 5-foot-8-inch, 6-foot-6, and 8-foot. 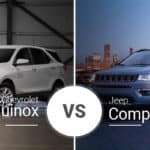 This gives buyers more options when compared to the 2019 Toyota Tundra that offers a Double Cab with an 8.1-foot bed and Crew Cab with 5.5-foot bed. The 2019 Chevy Silverado 1500 measures 210.7 to 241.2 inches long, 81.2 inches wide, and 75.4 to 78.5 inches high. It rides on a wheelbase that ranges from 126.5 to 157.1 inches. 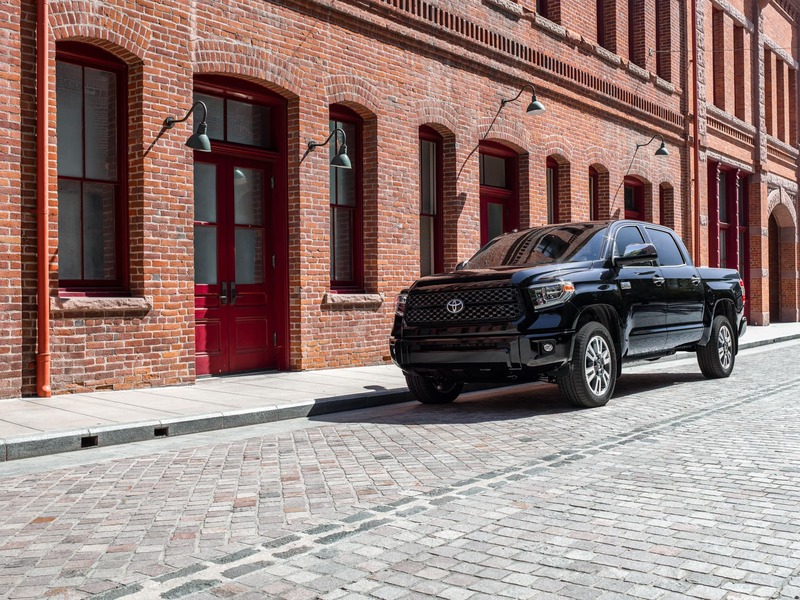 The 2019 Toyota Tundra measures 228.9 to 247.8 inches long, 79.9 inches wide, and 75.8 to 76.4 inches high. The Tundra’s wheelbase is 145.7 to 164.6 inches long. 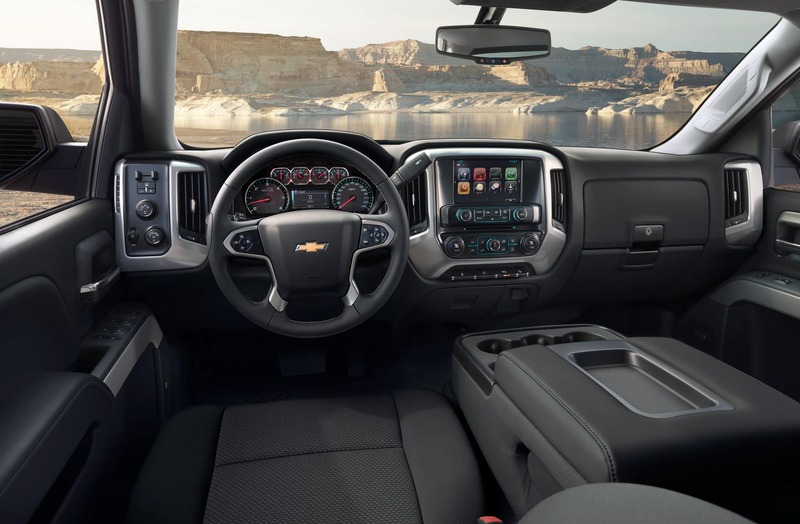 In every cab setup, the 2019 Chevy Silverado 1500’s front seats offer 43.1 inches of headroom, 44.5 inches of legroom, 66.1 inches of shoulder room, and 61.2 inches of hip room. The Tundra’s front seats offer 39.7 inches of headroom, 42.5 inches of legroom, 65.7 inches of shoulder room, and 62.6 inches of hip room. This gives the Silverado an advantage of 3.4 inches in headroom, 2 inches in legroom, and 0.4 inches in shoulder room, but the Tundra takes hip room by 1.4 inches. The 2019 Silverado 1500 Double Cab is roughly equal to the Tundra Double Cab. The Silverado 1500 Double Cab’s rear seats offer 39.9 inches of headroom and 35.2 inches of legroom, 64.9 inches of shoulder room, and 60.2 inches of hip room. The Toyota Tundra Double Cab’s rear seats offer 38.7 inches of headroom, 34.7 inches of legroom, 65.6 inches of shoulder room, and 61.6 inches of hip room. This gives the Silverado a 1.2-inch advantage in headroom and 0.5-inch advantage in legroom, while the Tundra has a 0.7-inch advantage in shoulder room and a 1.4-inch advantage in hip room. The 2019 Silverado 1500 Crew Cab’s rear seats offer 40.1 inches of headroom, 43.4 inches of legroom, 65.2 inches of shoulder room, and 60.2 inches in hip room. The Tundra CrewMax’s rear seats offer 38.9 inches of headroom, 42.3 inches of legroom, 65.5 inches of shoulder room, and 60.4 inches of hip room. This gives the Silverado a 1.2-inch headroom advantage and a 1.1-inch legroom advantage, while the Tundra CrewMax has a 0.3-inch shoulder room advantage and a 0.2-inch hip room advantage. 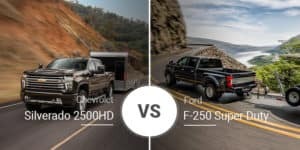 The 2019 Silverado 1500 has a robust line of engines, while the 2019 Tundra relies on a simpler pair of V-8 engines. The 2019 Chevy Silverado’s engine lineup starts with a 4.3-liter V-6 engine that produces 285 horsepower and 305 pound-feet of torque. This V-6 powerplant pairs with a standard six-speed automatic transmission. Moving to the midrange engines drops a 5.3-liter V-8 engine into the Silverado 1500 that injects 355 horsepower and 383 pound-feet of torque. Next up is a 2.7-liter turbocharged four-cylinder engine that produces 310 horsepower and 348 pound-feet of torque. The 5.3- and 2.7-liter engines pair to the same eight-speed automatic transmission. Topping the range is a 6.2-liter V-8 with 420 horsepower and 460 pound-feet of torque and pairs with a 10-speed automatic transmission. There will be a 3.0-liter turbo-diesel engine available later in the 2019 model year, but the details are not available yet. The 2019 Toyota Tundra has just two engines, and they are both V-8s. The base engine is a 4.6-liter V-8 that produces 310 horsepower and 327 pound-feet of torque. The optional engine is a 5.7-liter V-8 that cranks out 381 horsepower and 401 pound-feet of torque. 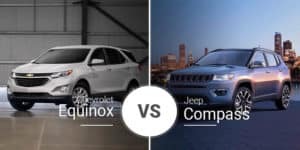 Both engines pair with a six-speed automatic transmission. The 2019 Tundra’s dated powertrain shows its age in fuel economy as the 4.7-liter V-8 engine tops out at 15 mpg city, 19 highway, and 16 combined. 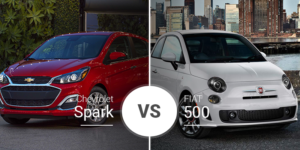 The 5.7-liter engine is even worse at 13 mpg city, 18 highway, and 15 combined. Towing and payload capacities are huge considerations when buying a pickup truck. The Silverado can tow up to 12,200 pounds (Crew Cab with four-wheel drive) and haul up to 2,280 pounds of payload (regular cab with two-wheel drive). The 2019 Tundra comes up short with just a 10,200-pound towing capacity and 1,730-pound payload capacity. The Tundra and Silverado 1500 satisfy off-road enthusiasts with their respective trail-focused models. The 2019 Silverado has two packages, starting with the Z71 that includes Rancho monotube shocks, electronic hill-descent control, two-speed transfer case, locking rear differential, front skid plates and heavy-duty air cleaner. The Trail Boss model adds a 2-inch lift to the Z71 package. The 2019 Toyota Tundra off-road trim, known as the TRD Pro, isn’t nearly as rugged as the Silverado 1500’s off-road-ready models, but it gets the job done with Fox shocks, 18-inch all-terrain rubber, skid plates, and more. 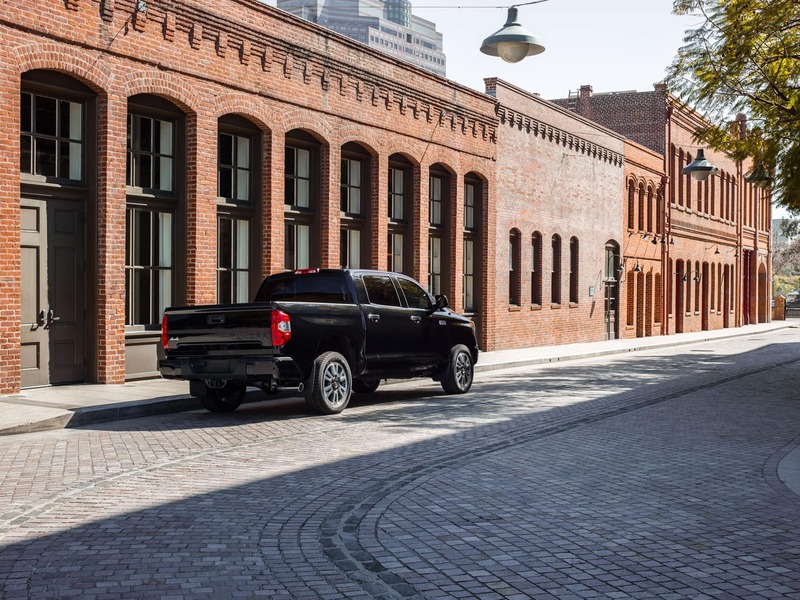 The 2019 Toyota Tundra is available in six trims — SR, SR5, Limited, Platinum, 1794 Edition, and TRD Pro — and prices range from $31,420 to $50,430. 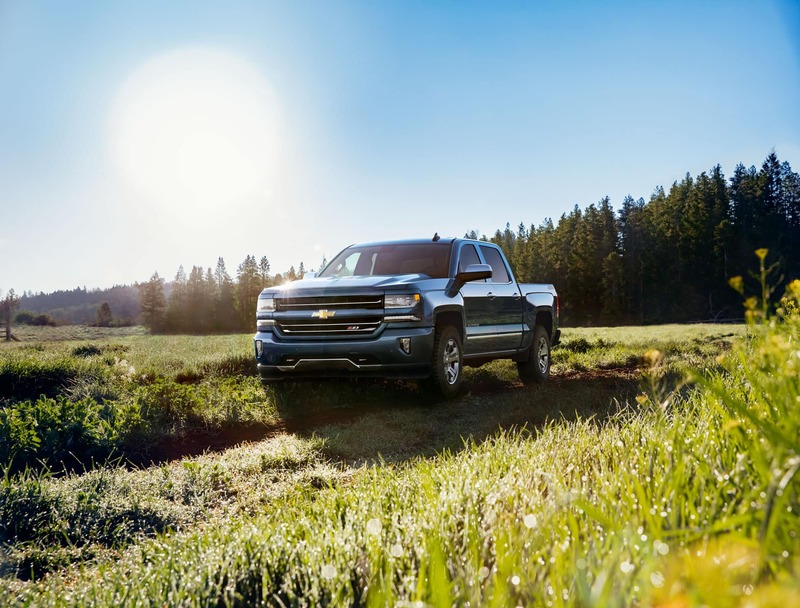 The Silverado beats the 2019 Toyota Tundra in most truck-focused areas, including power, payload capacity, and towing. Plus, it has a wide range of engine and powertrain options to suit many buyers. Who Should Buy the 2019 Toyota Tundra? Buyers who want base V-8 power will love the Tundra’s standard 4.7-liter V-8 engine. Also, with its standard Double Cab body, the Tundra can handle rear-seat passengers in all formats. 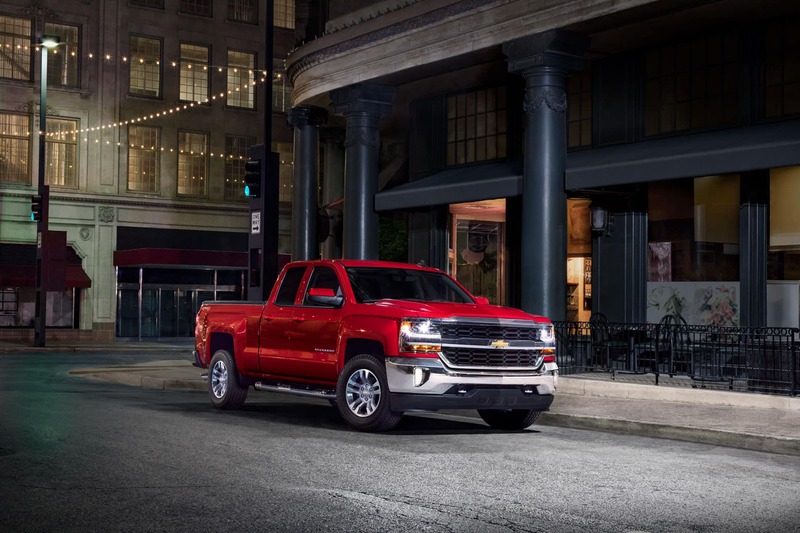 Want to test out the 2019 Chevy Silverado 1500 on the streets of Wheaton, Michigan? 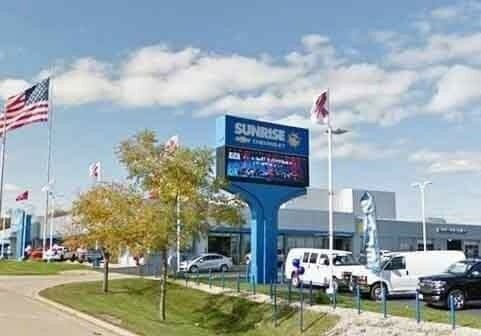 Come down to our new-car dealership serving Wheaton, Carol Stream, and Lombard to see what it can do today. If you can’t make it in today, you can also view our online inventory to see if we have a 2019 Silverado in stock to meet your needs. 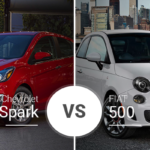 0 comment(s) so far on Chevy Silverado 1500 Vs. Toyota Tundra: Can a Newcomer Beat the Legend?